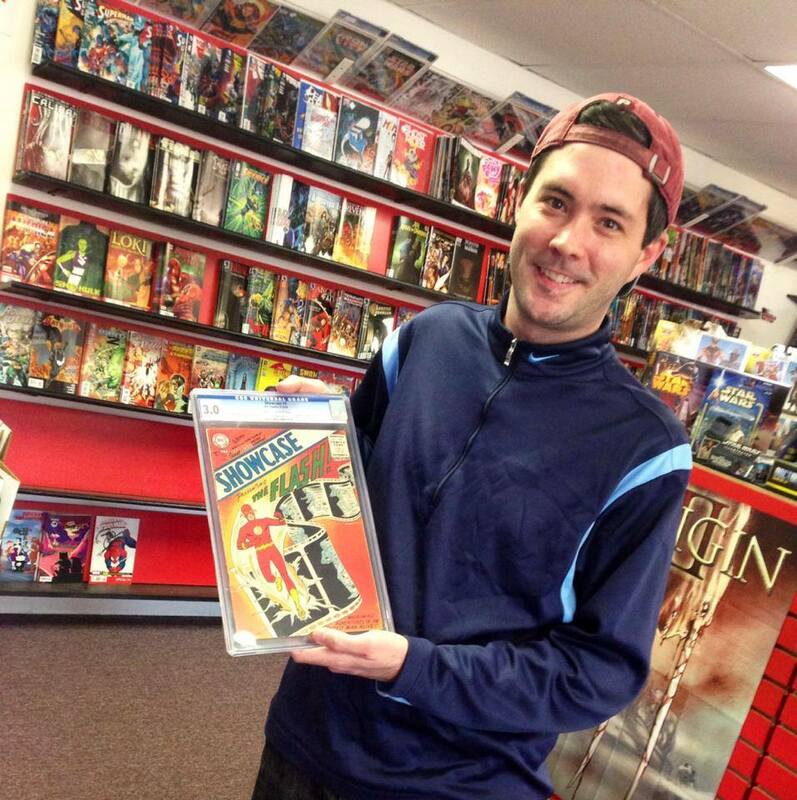 We’re pretty sure that Mike couldn’t be more stoked about the book he just got back from CGC Comics for grading. He found a Showcase #4 (first appearance of Flash) in a stack of his dad’s and uncle’s old comic books. The books had been sitting in a cabinet at their childhood house for decades — thanks, mom for not throwing them out! — until Mike found them. Now, he has a sweet heirloom that’ll be in the family for generations Congrats, Mike! We send out books for grading every-other-month or so. The cost for grading is usually $25, although it is higher for older books, such as Mike’s. Through grading, your books are graded, encapsulated, and recorded in a registry; learn more by clicking here. If you need help deciding whether or not a book should be sent out for grading, we can help. Simply bring the book into the shop and Jason will appraise it, or you can email him at jason@newwavecomics.net.